Peel the shrimp. Leave tails on to make it easier to pick up and hold. Rinse and drain or pat dry. Set aside. Peel the garlic and mince. Rinse a few sprigs of parsley and pat dry with a paper towel. Remove any large or tough stems from the parsley. Finely chop the parsley. Warm the olive oil over medium heat. Add the minced garlic and red pepper flakes and sauté for about one minute or until they begin to brown. Be careful not to burn the garlic! 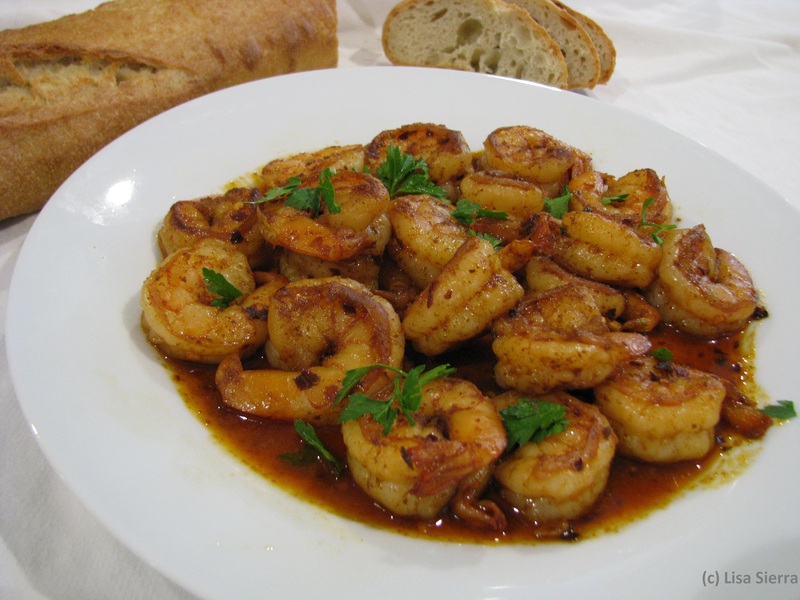 Raise the heat to medium high and add the shrimp, lemon juice, sherry or cognac and paprika. Stir well, then sauté, stirring briskly until the shrimp turn pink and curl – about 3 minutes. 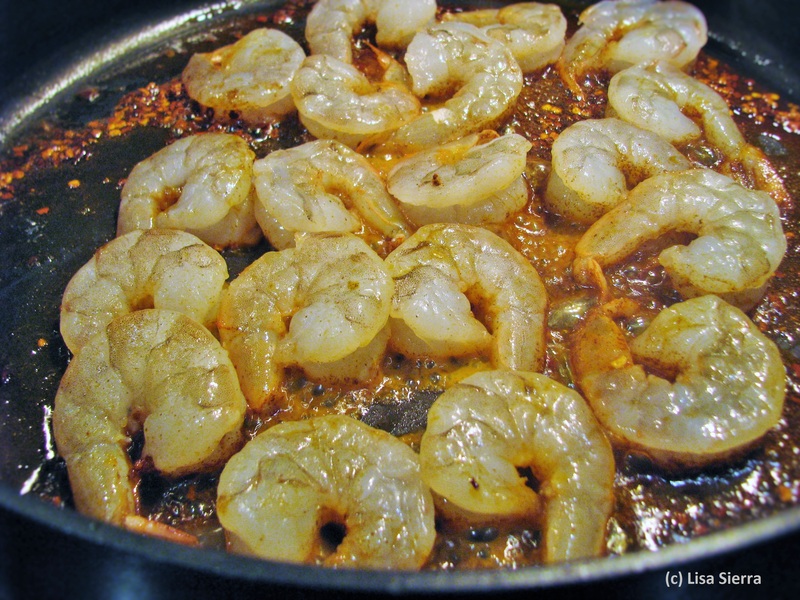 Remove from heat and transfer shrimp with oil and sauce to a warm plate or serve right from the pan. Season to taste with salt and freshly ground black pepper. Sprinkle with chopped parsley. Serves 4 for appetizers. If preparing for a main course, double the recipe, and prepare rice as a side dish. Stir the shrimp to coat it in the garlic sauce, and cook on both sides. The shrimp turns pink when cooked. I would appreciate receiving home made Spanish Adobo Sauce. My mom’s receipt consist cumin, garlic, salt, vinegar, water. However, I do not know the exact quantity of each ingredient. I do not want Mexican recipes, filipinoes recipe. Just a true Spainard recipe. My dad was born in the city of Archez, Spain and my mom’s family from Bena-ha Sorry I can only spell it phonictelly. We no longer write for the site, but our content is still posted, and someone else write on the site. There is a video, but it is not ours and I haven’t watched it. Please write back and let us know if that helped! We also have a Facebook page where we post “SpanishFood”.